Celebrate the opening of the Museum’s newest exhibition, featuring intricate cut-paper art by Deborah Ugoretz. Ugoretz was already a working artist when she saw traditional Jewish paper cutting work for the first time. She was dazzled by this centuries-old tradition and its creative possibilities for “visualizing Judaism,” and its ability to transform a simple piece of paper into a work of art that could release words into pictorial space. 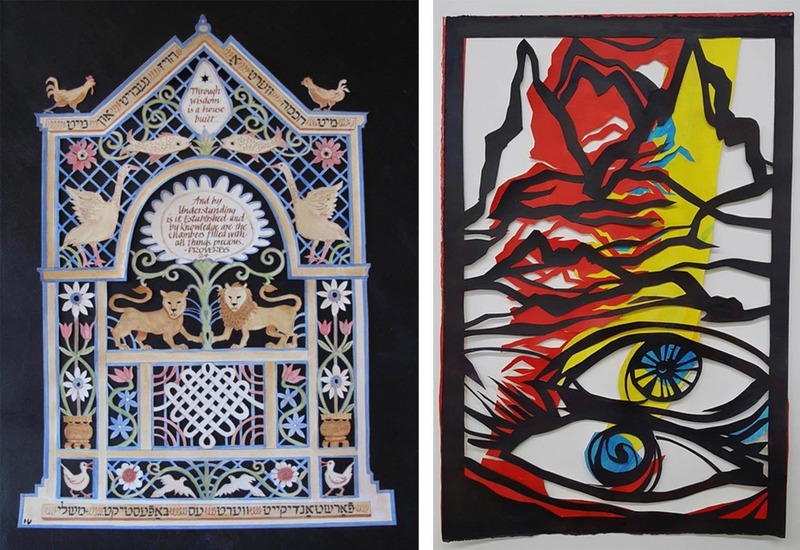 This exhibition will present a retrospective of the artist’s work in cut paper, ranging from traditional ketubot (elaborately decorated marriage contracts), pieces inspired by Biblical texts and prayer to more recent work that considers the traditional as a starting point to explores themes and concepts in exciting and very contemporary ways. Brief remarks will be made by Museum staff and exhibition curators.